The recently released INQ Mini 3G has had a pretty hefty price cut as 3 looks to capitalise on the pay as you go market this Christmas. After going on sale a month ago for £59.99, the Mini 3G will now go down to £49.99, which is a 15 per cent (ish) cut for an already budget phone. 3 has also slashed the price of its MiFi personal modem, which uses 3G connectivity to pump out a Wi-Fi connection. This is also now £49.99 per month, and can be used on pay as you go as well as contract. Users can also pay £69.99 for the MiFi unit, and get 3GB of data for use over three months. Although if you're any kind of downloader / YouTuber, you'll probably want a little bit more. 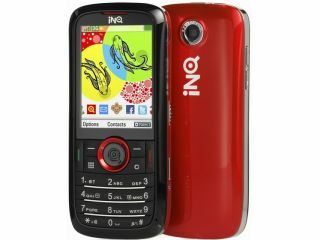 The INQ Mini 3G is the first phone to offer Facebook, Skype, MSN and Twitter connectivity for under £100, and 3 is keen to attract users looking for an easy Christmas gift. It seems like 3 will maintain exclusivity to the cut-price phone as well (which will shortly be joined by the Chat 3G) as despite stating otherwise INQ has yet to see any of its phones stocked by another network in the UK.